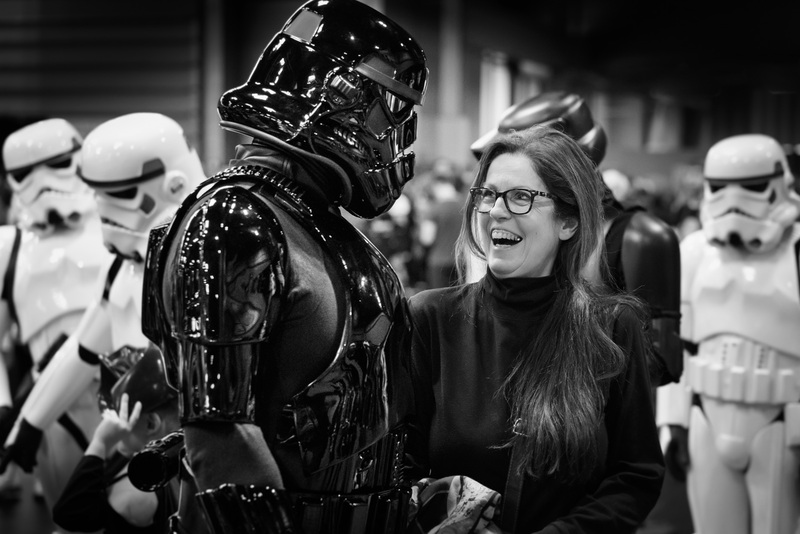 CAROL HARRIES - WOOD Meeting Darth Vader...this was my first ever experience of a Comic Con Convention. The two young people I took along walked through the doors of the convention and became completely different people...I had just entered their world and it was a fascinating one. I was welcomed into this strange new world with encouragement from the young people and the participants. I experienced joy, make believe and a place where everyone was accepted for whoever they wanted to be. I would love to go along again with the young people and would even consider becoming a different character!